The latest entry in Activision’s Call of Duty series goes straight to the top of the UK boxed games charts. 91 per cent of Week One sales were for the newer PlayStation 4 and Xbox One, while a measly nine per cent of units sold were for the the PS3 and 360. This is the seventh biggest Call of Duty title in terms of revenue. This is likely the result of Black Ops III only launching on Friday – the first time in six years. Other Call of Duty titles launched on Tuesday, therefore we can’t really compare Black Ops III sales to that of last year’s Advanced Warfare. Meanwhile, FIFA 16 rises on place to No.2. EA’s Need for Speed debuts in third place, too. Sales of Halo 5: Guardians dropped 78 per cent last week as the sci-fi shooter falls from the top spot to No.4. Assassin’s Creed drops three places to No.5 as sales decline 55 per cent. And further down the charts, a retailer promotion causes sales of Mario Kart 7 to shoot up 898 per cent to No.14. In a contrast to the UK’s Halo-ruled rankings, Japan’s retail charts were last week dominated by home-grown titles from the territory. The only Western title to make the Top Ten was the debut of sports game NBA 2K16, which achieved seventh place, according to the latest data from Famitsu. Both first and second position were claimed by the Vita and PS4 versions of Bandai Namco’s God Eater Resurrection, respectively, which managed combined sales of over 140,000. The game's Vita version once again proved the ongoing popularity of Sony's handheld system in Japan, outselling its home console sbling by more than four times. The only other new entry was Nippon Ichi’s Yomawari, which claimed fourth, below 3DS Zelda spin-off Tri Force Heroes. God Eater’s preference for PlayStation helped PS4 and Vita to swipe the top two positions in the hardware chart, respectively. While Halo was absent from the software Top Ten following its release in Japan on October 29th (three days before the data was collated), its launch may have helped Xbox One sales in the region, as the console rose from its traditional tenth place to sit above the 3DS XL in ninth. Almost a quarter of PS4, Xbox One and Wii U owners are waiting for a Black Friday bonanza before buying games. That data is courtesy of Ipsos Mori’s GameTrack research, conducted on behalf of MCV. The figures showed that - across all types of gamers - 16 per cent say they’re waiting for Black Friday discounting to pick up this Christmas’ biggest blockbusters. 13 per cent of gamers say they will buy consoles and/or games on that day, instead of at other times. The figures show how the sales event has had a fundamental impact on the way consumers are buying products at Christmas. 85 per cent of gamers are aware of Black Friday, GameTrack figures show. Yet, despite its impact on their buying habits, 32 per cent of those surveyed said they actively dislike the idea of the sales event. Black Friday is historically a US promotion, and launched in the UK as part of an Amazon campaign five years ago. Last year it took off in a major way when multiple other retailers started their own activity. Black Friday this year takes place on November 27th. GAME boss Martyn Gibbs told MCV last month how he expects this year’s event to be even bigger than 2014 and, despite the damage it is doing to video game margins, views it as a way to attract new customers. In more positive news, 11 per cent of gamers familiar with Black Friday said that they would likely end up buying more games and consoles as a result of the discounting. These figures were part of research conducted by Ipsos Mori, which spoke to 1,899 consumers across the UK – including 1,501 who identify themselves as gamers. A new study from the Pew Research Centre has strengthened the argument that console content makers should be making more effort to appeal to females. Its Technology Device Ownership 2015 report shows that 42 per cent of US women own a games console compared to 37 per cent of men. In total 40 per cent of US adults own a console. Ownership is more likely the further you go down the age brackets, with 56 per cent of 18-29 year olds having a console compared to 55 per cent of 30-49 year olds, 30 per cent of 50-64 year olds and eight per cent of those aged 65 or over. The likelihood of ownership also increased along with household income. There was also more console ownership among ethnic groups. The real story of the report, however, is the increasing ubiquity of smartphones. Currently 68 per cent of US adults own one, up from 35 per cent in 2011. Tablet ownership is also up to 45 per cent. This rise comes at the cost of more specialised devices, however. E-reader ownership has fallen from 32 per cent in early 2014 to 19 per cent. Among the younger age groups MP3 player ownership has plummeted from 75 per cent in 2010 to 51 per cent now. Computer ownership has fallen from 88 per cent to 78 per cent in the same period. The report is based on a sample size of 1,907 US adults across all 50 US states. As the company's first title, Little Big Planet was a breakout hit for the studio Media Molecule. The franchise saw three major games across the PS3 and PS4, two mobile versions (for PSP and PS Vita), and a number of spinoffs. But now Media Molecule hopes to make lightning strike twice with the forthcoming genre-eluding title, Dreams, which enables players to create and animate inside of the game world using the PlayStation Move. After several months of question dodging following the game's initial announcement, the studio has finally confirmed at Paris Games Week that Dreams will support PlayStation VR. Halo 5: Guardians has taken the No.1 spot in the UK charts, deposing previous top dog Assassin’s Creed Syndicate. Microsoft’s sci-fi Xbox One exclusive beat the Week One sales of last year’s The Master Chief Collection by 50 per cent. Guardians also outsold Syndicate Week One sales by 50 per cent. Sales of Ubisoft’s latest Assassin’s Creed fell just 39 per cent as it slips to No.2. Meanwhile, FIFA 16 drops to third place as sales actually increased 25 per cent. There were two other launches in the Top Five this week – WWE 2K16 debuts in fourth place, selling three times as much as last year’s WWE 2K15. And launching and going straight to No.5 in the boxed charts is Telltale’s Minecraft: Story Mode. You probably know that a chameleon's eyes move independently of one another. Thanks to video games, however, it's clear that this oddball vision is more powerful than previously thought. Israeli researchers made chameleonsplay a simple game where they had to track and lash out at multiple digital flies, gauging their ability to focus on two objects at once. In the tests, the lizards easily followed one target in each eye -- they only focused on one fly when they were ready to strike. The eyes even have distinctive movement patterns based on their active roles, so there's no doubt as to what they're doing. A group of scientists from Janelia Research Campus have built their lab mice some sort of an Oculus Rift of their own. Okay, so it's not a tiny VR headset for rodents -- though that would have been amusing to see -- but a simulator with walls that touch the mouse's whiskers on either side. This makes the mouse think it's moving through a maze, when it's really just running on a small spherical treadmill. The researchers created the system not because the lab mice needed entertainment: they built it so they can observe how a mammal's brain reacts to injury, learns how to find routes and forms memories. They believe that by having a better grasp of memory formation, we can also understand diseases that cause memory loss (like Alzheimer's) a lot better. It's one thing to buy a Raspberry Pi for your own tinkering, but it's another when you need to buy a lot of them for your company -- you aren't going to tweak thousands of boards by hand. Thankfully, you don't have to. 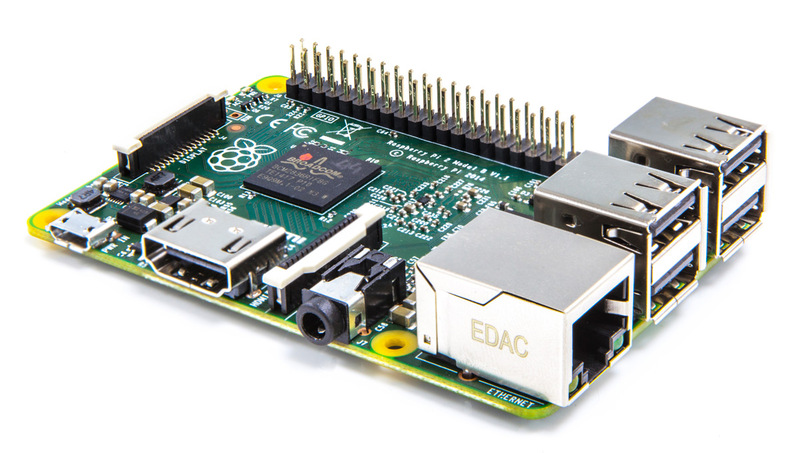 Raspberry Pi is teaming up with Element14 on a customization service that lets organizations order 3,000 or more specially-made boards at once. You can use the service to add or remove connections, rejigger the layout and otherwise get the exact mini computer you want. This is helpful if you're going to sell a Raspberry Pi-powered device (particularly important for appliances and other connected gadgets), but it should also be handy for education and other fields where an off-the-shelf board might not cut the mustard. It'll take up to three weeks before Element14 starts designing your custom board, let alone shipping it, but that could be a small price to pay if you're determined to get the right mix of circuitry. Football blockbuster FIFA 16 has now spent one month in first place in the UK Top 40. EA’s game is at the head of a Top Four that remains entirely unchanged from last week. Uncharted: The Nathan Drake Collection is still No.2 in spite of a 50 per cent drop in sales, while Destiny: The Taken King holds strong in third place as sales only drop 22 per cent. Meanwhile LEGO Dimensions remains at No.4, while Grand Theft Auto V rises to No.5 with sales increasing four per cent week-on-week. There’s one new entry in the charts – Bandai Namco’s Tales of Zestiria – which debuts in eighth place, while WRC 5 launched and goes straight to No.12. This is the fourth best-selling entry in the rally series to date. Remember when everyone was saying that consoles were dying and no-now would be the next-generation machines? They were wrong. NPD has revealed that combined sales of the PS4 and Xbox One some 23 months into their lives are 40 per cent higher than the totals achieved by their predecessors the PS3 and Xbox 360 in their first 23 months in the US. However, NPD also revealed that its year-on-year numbers revealed a hardware decline in the US in September, dipping 23 per cent. Microsoft has confirmed a year-on-year sales increase for Xbox One, meaning PS4 must have been down annually. Not that it stopped Sony’s machine outselling its rival again in September. "Contrary to past months, [year-on-year] hardware sales declines were seen across 8th generation consoles, 7th generation consoles, and portables,” NPD said. "The majority of hardware platforms increased their sales from August 2015 to September 2015 when comparing sales on a per-week basis. “All 8th generation consoles experienced double-digit growth when comparing sales on a per-week basis." If virtual reality is going to change the world of video games, then it will need the High Street. That’s according to UK retailer GAME, which is wary but hopeful about the new technology from PlayStation, Oculus, HTC and Samsung. CEO Martyn Gibbs tells MCV that in order for VR to reach its potential, it will have to get into the hands of consumers. “My view on virtual reality is that we have all tried them, and they are fantastic experiences,” he says. “Whether they are going to drive huge consumer engagement is yet to be seen, because we haven’t got a major one out on the market at the moment, so it is an incredibly difficult one to judge. “But we are seeing that gamers’ appetite for knowing and understanding a lot more about VR is definitely there. As for our position, for virtual reality to succeed, GAME will need to play a significant part in that. We need to allow people to be trialling the products in an environment that they are comfortable with. The Entertainment Retailers Association is reaching out to UKIE and calling on games publishers to help stop grey importing and street date breaks. In a letter to MCV, ERA boss Kim Bayley said: “There have always been some less than scrupulous retailers who try to steal a march on the competition by selling new titles too soon, but recently it has become all too common. The problem is that if rogue retailers get away with it, there is little incentive for anyone to stick to the embargo, and we could end up with chaos. “Naturally, on the rare occasions an ERA member is implicated, we act swiftly, but there is little ERA can do when this bad behaviour takes place outside our membership. That’s when we need publishers to play their part. “It’s the same with grey imports; just as with broken street dates, grey imports leech off the investment, the effort and the commitment of reputable retailers. “To be fair, some publishers have been very pro-active on these issues. Activision in particular deserves praise for its efforts, but we would welcome the opportunity to work with others. Mike Bithell’s PlayStation and PC stealth outing Volume is to receive a free expansion designed for Sony’s virtual reality headset PlayStation VR. Volume: Coda takes place after the events of the main game, with players controlling a brand new character. It boasts 30 levels, a new cast and a new setting. Furthermore, once the expansion has released owners will be able to play both it and the entire original game in VR. Note – Coda is “coming first” to PlayStation VR, meaning an arrival on other VR headsets is also planned. He also confirmed that the Vita release will include the Checkpoints update already released for other platforms. Superdata’s worldwide digital games report for September has shown an annual 11 per cent increase in sales. Overall the digital games market was worth $5.4bn. The biggest growth was seen in digital console game sales, which shot up 29 per cent to $326m. That’s despite the number of console players remaining flat – it’s just that these same users are buying more digitally than ever before, with the average monthly digital outlay up 39 per cent to $132.46. Sales of digital console, PC and mobile games were all up, as were F2P MMO and social game revenues. Mobile remained the most lucrative digital sector, accounting for $2bn and up nine per cent. Mobile active user numbers are up 10 per cent year-on-year at 2.2bn. The only sector to experience decline was premium MMOs, which fell eight per cent to $213m. FIFA 16 was the world’s best-selling digital console game last month, followed by Destiny. Interestingly Superdata reckons two thirds of the latter’s revenues were made up of people buying full versions of the game and not just the Taken King expansion. One of the hardest things in life is watching your parents grow old. As their senses fail, the simplest things become difficult or even impossible for them to do. [kjepper]’s mom is slowly losing her sight. As a result, it’s hard for her to see things like the readout on the caller ID. Sure, there are plenty of units and phones she could get that have text-to-speech capabilities, but the audio on those things is usually pretty garbled. And yes, a smartphone can natively display a picture of the person calling, but [kjepper]’s mom isn’t technologically savvy and doesn’t need everything else that comes with a smartphone. What she needs is a really simple interface which makes it clear who’s calling. Initially, [kjepper] tried to capture the caller ID data using only a USB modem. But for whatever reason, it didn’t work until he added an FSK–DTMF converter between the modem and the Pi. He wrote some Node.js in order to communicate with the Pi and send the information to the screen, which can display up to four calls at once. To make a mom-friendly interface, he stripped an old optical mouse down to the scroll wheel and encased it in wood. Mom can spin the wheel to wake the system up from standby, and click it to mark the calls as read. Now whenever Aunt Judy calls the landline, it’s immediately obvious that it’s her and not some telemarketer. After three years of development and over a year in release engineering, NetBSD 7.0 has been released. Its improvements include added support for many new ARM boards including the Raspberry Pi 2, major improvements to its multiprocessor-compatible firewall NPF, kernel scripting in Lua, kernel mode-setting for Intel and Radeon graphics chips, and a daemon called blacklistd(8) which integrates with numerous network daemons and shields them from flood attempts. 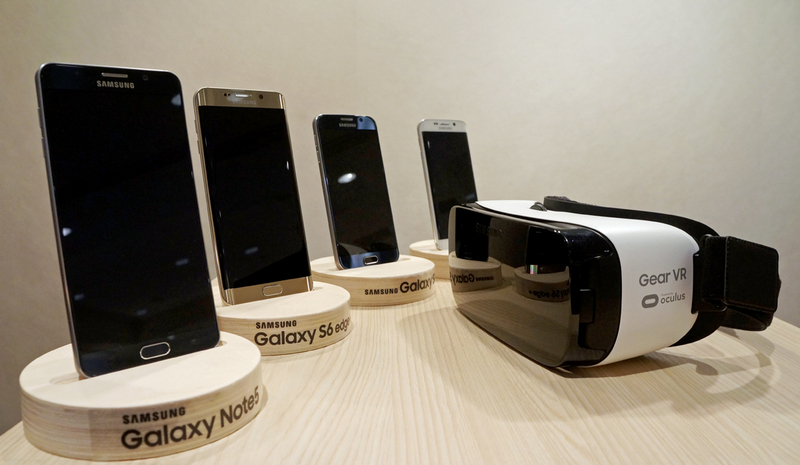 Oculus and Samsung's first fully-fledged virtual reality product, the Gear VR, isset to launch in November for $99. A host of apps have been announced to work with the new hardware, and now we have confirmation that Hulu's VR app will be ready to go when the Gear VR launches. As reported by CNET, Hulu head of distribution Tim Connolly says that the company's app is "ready to go" for the Gear VR launch. As for what that app will offer, traditional 2D content will be available, but the company is also experimenting with "enhanced" 2D content -- like watching Seinfeld in Jerry's apartment, for example.